If you are planning to build a twitter like app critter should be your take. Critter-an exact clone script of twitter comes with all the necessary options. The user can sign up, create profiles, send direct messages, tweet to masses or teams and connect globally. In a nutshell, critter is the best twitter clone script one could ever imagine to be had. Imagine Twitter goes down. It’s going to be absolute dark outside, the companies that depend on it can suffer a setback so do the individuals and how one can tell everyone about that? Critter can save the falling grace at such juncture of social media history. 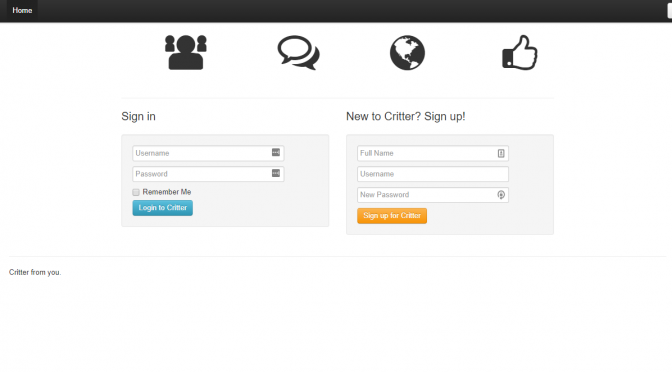 Critter lets your own Twitter feed sync with Laravel in any cloud service in minutes. It is basically a PHP/MySQL web application written in Laravel for the purpose of learning. The users can easily register, sign in, post critts feeds, view critts and follow their folks. Download Twitter script. Do not download nulled Twitter script from torrents or illegal sites. It's illegal. Always buy scripts from original developers.